CUESTA RAY BENBERRY'S DILIGENT SEARCH for accuracy and truth, coupled with her generous support of other researchers, has endeared her to quilt enthusiasts for decades. Described by Who's Who in America as "a quilt historian, achivist and consultant," she is known to the quilt world for her expertise on quiltmakers, quilt pattern history, and African American quilts. Her exhaustive research and her enormous collection of patterns and quilt ephemera are legendary. Born in Cincinnati, Ohio, Cuesta was raised in St. Louis, Missouri, by her father, Walter Rand and grandmother following the death of her mother, Marie. She was educated in the St. Louis public schools before attending Stowe College (now Harris-Stowe State College), where she received a B.A. in education in 1945. After graduation, she embarked on a career as a teacher, reading specialist, and school librarian that lasted forty years. Cuesta also earned an M.A. in library science from the University of Missouri at St. Louis, enabling her to broaden the scope of her quilt research with a historical perspective. She first took an interest in quilts not because she was born into a quiltmaking family but because she married into one. George Benberry's family made quilts; the young couple received one from his mother as their wedding present in 1951. When they visited George's relatives in Western Kentucky, Cuesta was immediately captivated by their quilts-the colors, patterns, and quilting stitches. Cuesta, the researcher, began asking questions. "Who made them, when, how, where?" and, most important, "May I photograph them?" Her curiosity about those Kentucky quilts launched a lifelong quest to fully understand quilt pattern history. Cuesta arrived on the national stage by a circuitous route. Despite her busy life as a mother, wife and school librarian, she always maintained a side network of quilt correspondents. Starting in the 1950's she actively participated in several round robins-a popular means of pattern exchange in the days before the photocopying machine. Patterns were carefully hand copied onto tissue paper and circulated to each participant to copy in turn. One round robin friend, Dolores Hinson, was writing for the highly regarded publication Nimble Needle Treasures, edited by Pat Almy. After receiving Cuesta's long letters filled with fascinating pattern information, Dolores suggested that Cuesta write for the magazine on a regular basis. As its research editor for five years, Cuesta had a vehicle to share her findings with a wide audience. Soon after Nimble Needle Treasures ceased publication in 1975, honoree Bonnie Leman invited Cuesta to write for Quilter's Newsletter Magazine. For nearly twenty years, Questa contributed countless book reviews and articles on quilt history, pattern history, and little-known quiltmakers and designers. She was also a regular contributor to Quilters' Journal, a magazine concentrating on quilt history, published and edited by honoree Joyce Gross from 1977 to 1987. Cuesta announced her interest in African American quilt history with a query published in Quilter's Newsletter Magazine in the mid-1970s, asking readers to send her information about quilts made by African Americans. She began a new file that filled rapidly with the missing information, and she became a voice for the overlooked African American quilters. Her studies became a passion; she decided to make a quilt from patterns significant to the story of African American women and their quilts. The center block, in the Evening Star pattern, included an inked poem referring to the plight of the black mother whose child was sold into slavery. Cuesta's findings clearly proved that quilts made by African American quilters were as varied as those made by other American quilters. She discovered that the quilts were products of talented, creative needlewomen and artists and did not necessarily reflect a cultural memory of African designs, a theory fostered by some researchers. In 1980. Cuesta traveled to California to attend the first meeting of the American Quilt Study Group, where she made a special presentation entitled "Afro-American Women and Quilts" which was published in the first volume of Uncoverings, Cuesta later served on the group's board of directors and presented two other papers at the annual seminars. In 1985, Cuesta retired from her full-time position with the St. Louis Public Schools to devote more time to her own research and writing. 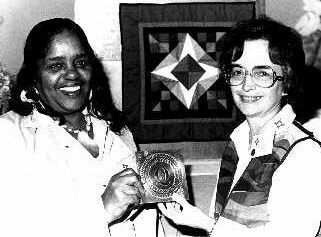 She often contributed articles to The Women of Color Quilters' Network Newsletter and other publications. Cuesta served as a consultant for several state quilt projects often writing the forewords for the catalogs. Requests for her slide lectures increased, and she found herself in demand as a speaker throughout the United States and Europe. The Kentucky Quilt Project asked Cuesta to curate an exhibition of African American quilts and write a book to accompany it. The exhibit and book, entitled Always There: The African American Presence in American Quilts, gave Cuesta an opportunity to present her findings regarding the diversity, originality and importance of African American quilts and quiltmakers. The exhibit was shown in Louisville, Kentucky, in 1992, and also at the Anacostia Museum of the Smithsonian Institution. In November 1983, Cuesta Benberry was inducted into The Quilters Hall of Fame. In her acceptance speech, she declared, "What I see as the quilt investigator's obligations is the explanation and enrichment of quilt information undergirded by accuracy and truth in a form of serious scholarship." She also called for "the documentation of all quilts in retrievable form for future scholars and for posterity". Cuesta later served on the board of directors and as advisor to the selection committee for The Quilters Hall of Fame, and in 1995, she lectured at the organization's annual celebration on "America's Cherished Quilts: The Harriet Powers Bible Quilts." 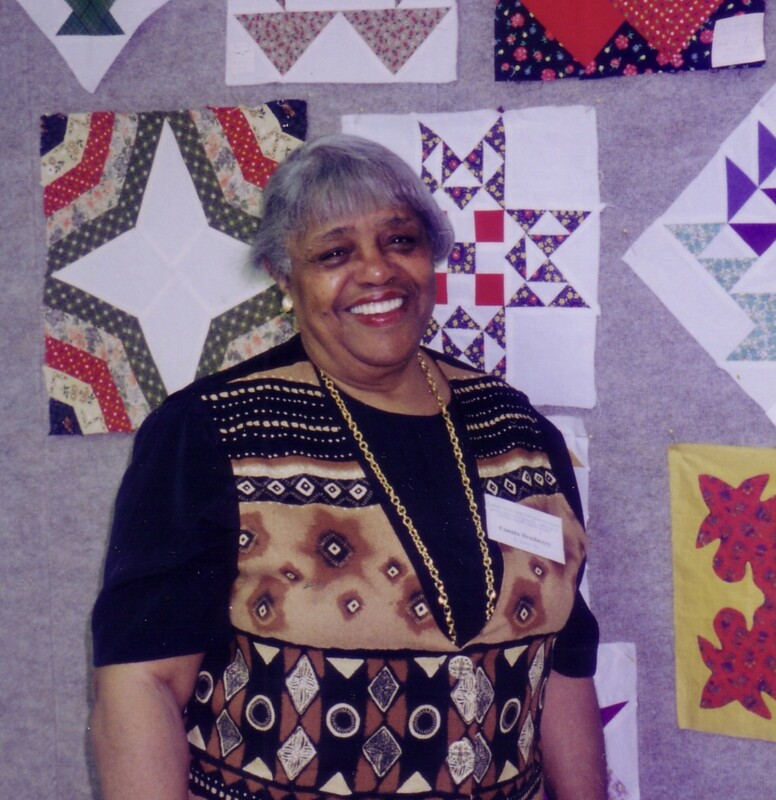 In 1999, she gave the Hall of Fame her extensive collection of some 800 quilt blocks, 200 of which were featured in the exhibit Evidences of Friendship: The Quilt Block Collection of Cuesta Benberry. Cuesta's love of children also led her to establish an African-American quilt archive at the Vaughn Cultural Center in St. Louis, where groups of schoolchildren come on field trips to learn about quilting traditions. In 1997, Cuesta joined honoree Joyce Gross in curating a landmark exhibit, the meticulously researched 20th Century Quilts 1900-1970: Women Make Their Mark, at the Museum of the American Quilter's Society in Paducah, Kentucky. The exhibit represented the combination of nearly eighty years of quilt scholarship on the part of the two quilt historians. In 2000, Cuesta curated A piece of My Soul: Quilts by Black Arkansans for the Old State House Museum in Little Rock and wrote the accompanying volume. Cuesta's work on pattern history, quilt documentation, and African American quiltmakers has greatly enriched the understanding of the American quilt experience. To paraphrase her own 1983 Quilters Hall of Fame acceptance speech, Cuesta has "given her best shot" by "minding her P's and Q's"- her patterns and her quilts-for nearly fifty years. Quilters and historians everywhere are the beneficiaries. The results of Cuesta's research fill 150 scrapbooks of newspaper and magazine clippings, pattern booklets, paper patterns, tracings, and related materials that form the nucleus of a much larger quilt archive. In the middle of the 2000 decade, the American Folk Art Museum became the custodian of Cuesta's large quilt archive until 2009 when, with Cuesta's son's permission, the property was transferred to the Michigan State University Museum in East Lansing. 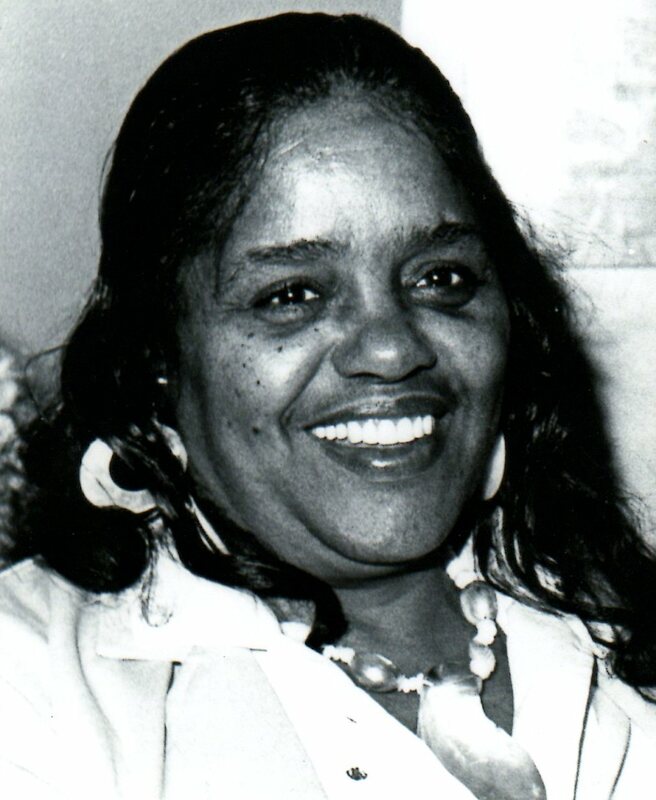 Prior to this transfer and following Cuesta's death, the remainder of the quilt collection and her black history archive were donated to the Michigan State University Museum. "We were...honored that Cuesta Benberry's collections have come to the museum" said Marsha MacDowell, MSU Museum curator and professor of art and art history. 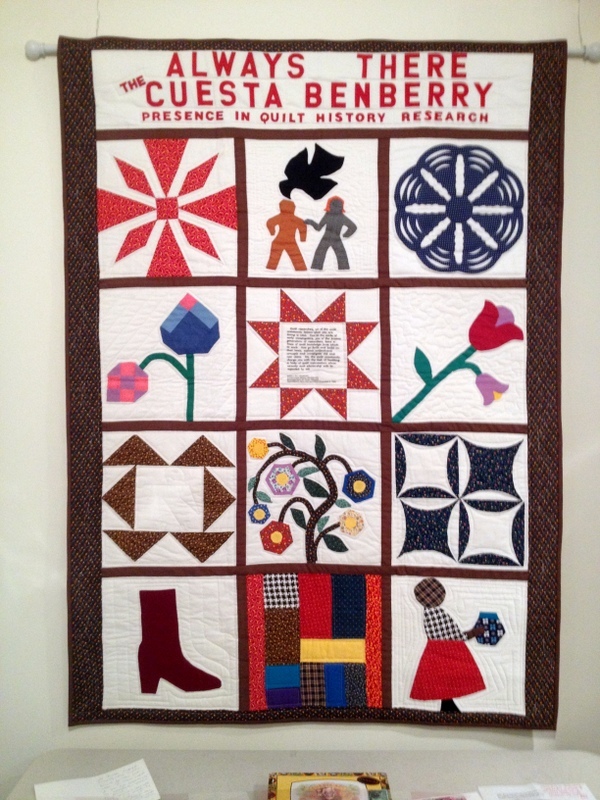 "research-based collections like hers are critical to still under-studied but important aspects of quilt history and of African American art and cultural history. We know this collection of primary materials will enable scholars on campus and around the world to benefit from Cuesta's trail-blazing work and to carry it forward." Update: Cuesta passed away on August 23, 2007. "It seems I may be standing alone, like St. John in the wilderness, exhorting the cause of the individual African-American quilter's creativity, a recognition of the diversity of African-American quilting, and most of all, an abandonment of the en-masse 'cookie cutter approach' to the investigations and research of African-American quilt history." "The Always There Cuesta Benberry Presence in Quilt History Research" made by Honoree Xenia Cord, replicates the only quilt attributed to Cuesta. The center star includes a quote from Cuesta's induction speech, "We, the quilt community, charge you (quilt researchers with the task of building a body of quilt information whose veracity and scholarship will be respected by all." Cuesta Benberry and Hazel Carter at Cuesta's induction in 1983 in Arlington, Virginia. ------. "Afro-American Women and Quilts: An Introductory Essay." Uncoverings 1980." Mill Valley, CA: American Quilt Study Group, 1981. -----. A Piece of My Soul: Quilts by Black Arkansans. Fayetteville: University of Arkansas Press, 2000. -----"White Perspectives of Blacks in Quilts and Related Media." Uncoverings 1983. Mill Valley, CA: American Quilt Study Group, 1984. "Quilt Treasures Presents: Cuesta Benberry." www.allianceforamericanquilts.org/treasures/main.php?id=5-16-3. Accessed December 6, 2010.